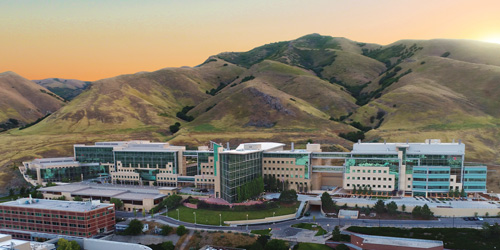 SALT LAKE CITY – Huntsman Cancer Institute (HCI) at the University of Utah has been named among a list of the Top 20 Most Beautiful Hospitals in the US. The recognition is given by Soliant, a national healthcare staffing provider. Soliant’s contest invites the public to vote for hospitals they deem the most beautiful. Overall, the contest received more than 250,000 total votes across 68 finalists this year, with HCI ranking in the top 10. “Patients frequently tell us they are enveloped by feelings of hope and optimism inside the hospital. Many say it feels more like walking into a five star hotel than a cancer hospital,” says John Sweetenham, MD, senior director of clinical affairs at HCI and professor of internal medicine at the University of Utah. HCI’s guiding principal is “the patient first,” and it routinely scores in the top percentile nationally for patient satisfaction. HCI is also recognized as one of the best cancer hospitals in the nation by US News & World Report. “Being named among Soliant’s Most Beautiful Hospitals is a significant achievement,” said David Alexander, president of Soliant. “Each winner joins a distinguished list of outstanding hospitals committed to delivering first-class patient care in environments that foster healing."